See YouTube video - Pro Training workout #10. - inside-out with the left hand. 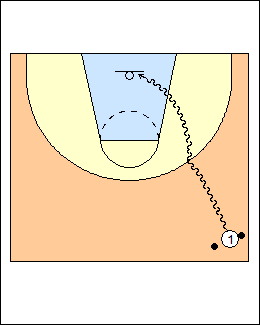 - alternating zig-zag to halfcourt then backwards. See Dribbling - Matt Doherty. - inside-out crossovers starting with the left. - 20 reverse layups (outside hand off inside foot). See Post play - Mikans. Start on the right block facing the baseline, dribble (both balls together) backwards to the elbow, slide to the other elbow, take one more dribble, finish with a left-hand layup. 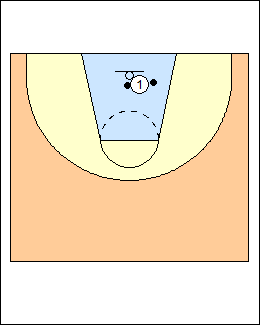 Repeat coming back, starting from the left block, finish with a right-hand layup, repeat for 10 makes. 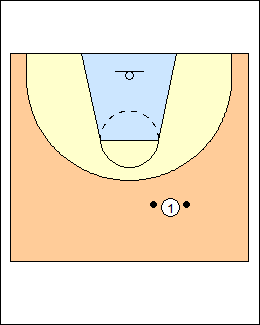 Use alternating dribbles, and finish with a reverse layup (using the baseline hand, e.g. right hand on the right side). 5 makes each, both sides. 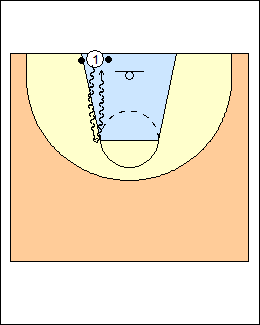 Start at the halfcourt sideline, cup one ball with the inside hand, dribble to the wing (outside hand), make an inside-out move and finish, repeat for 5 makes. 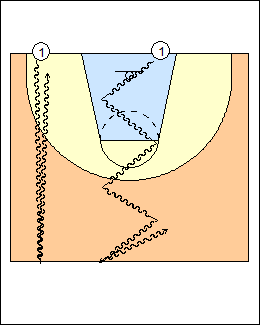 Progression - inside-out crossovers (the inside ball changes hands). Repeat on the other side for 20 total makes. 5 makes each. One ball, from halfcourt attack the top of the key, make an inside-out move, finish with the inside hand (off the outside foot), repeat for 5 makes. 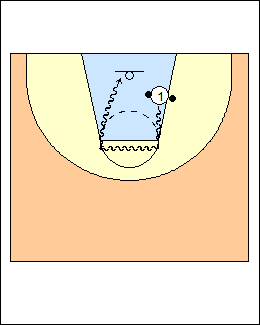 Progression - inside-out crossover (inside-hand finish). Repeat starting with the left hand for 20 total makes. 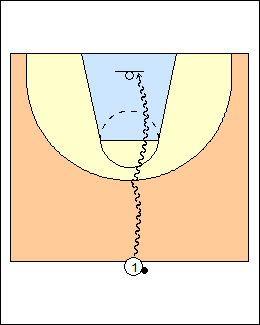 See Layups - Pro Training workout #9 (Inside-hand finishes).